Vfoods Makes it Easier to be Vegan in SA! Have you ever thought you could be vegan if it was easier to find vegan food in South Africa? Vfoods is coming to your rescue. 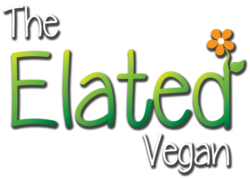 They are an exciting import and distribution company who aim to make it easier for South Africans to be vegan by bringing animal-free alternatives into all major retail outlets. Isn’t that fantastic! Their most popular release is undoubtedly the range of delicious and versatile Violife cheeses. Made in Greece, this vegan cheese is free from dairy, GMO’s and soya. Currently they import 5 flavours: Original, Smoked, Cheddar, Mozzarella and For Pizza, and will add more options over time. Vfoods has secured the honour of being the sole distributor of VBites Foods in South Africa, introducing us to the ‘Wot No Dairy?’ fruit flavoured vegan yoghurt range. VBites stands at the forefront of producing innovative vegan products and was voted ‘Most Ethical Company’ in the UK for seven years in a row. Have you ever wondered how to feed your fur family truly ethical and healthy food? The Vfoods online shop stocks the Benevo range of cruelty-free pet foods made from quality cereals, grains and vegetables, fortified with all the essential nutrients, vitamins, minerals and prebiotics your pets will need. They are also free from artificial colours, preservatives or flavourings. Give your pet a food you can trust! Vfoods’ goal is to source and supply vegan alternatives for consumers as well as the food industry to encourage people to adopt a plant-based diet. Their view is that, although eating animal products was once considered a necessity for survival, mankind has evolved over the last few hundred years and it is now merely a habit. Vfoods intends to help you change that habit one vegan meal at a time! Visit Vfoods’ online shop here or follow them on facebook or twitter. 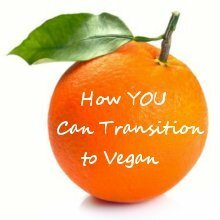 Does being vegan sound just that little bit easier now?